The spinal cord is a tubular bundle of nervous tissue and supporting cells that extends from the brainstem to the lumbar vertebrae. Together, the spinal cord and the brain form the central nervous system. In this article, we shall examine the anatomy of the spinal cord – its structure, membranous coverings and blood supply. Fig 1.0 – The external structure of the spinal cord. The spinal cord arises cranially as a continuation of the medulla oblongata (part of the brainstem). It then travels inferiorly within the vertebral canal, surrounded by the spinal meninges containing cerebrospinal fluid. At the L2 vertebral level the spinal cord tapers off, forming the conus medullaris. As a result of the termination of the spinal cord at L2, it occupies around two thirds of the vertebral canal. The spinal nerves that arise from the end of the spinal cord are bundled together, forming a structure known as the cauda equina. During the course of the spinal cord, there are two points of enlargement. The cervical enlargement is located proximally, at the C4-T1 level. It represents the origin of the brachial plexus. Between T11 and L1 is the lumbar enlargement, representing the origin of the lumbar and sacral plexi. The spinal cord is marked by two depressions on its surface. The anterior median fissure is a deep groove extending the length of the anterior surface of the spinal cord. On the posterior aspect there is a slightly shallower depression – the posterior median sulcus. The cauda equina is a bundle of spinal nerves that arise from the distal end of the spinal cord. They run in the subarachnoid space, before exiting at their appropriate vertebral level. Compression of these nerves produces a range of signs and symptoms collectively termed cauda equina syndrome. There are many causes of compression, including intervertebral disc prolapse, extrinsic or primary cord tumours, spinal stenosis, trauma and abscess formation. Incontinence / retention of urine or faeces. If sufficient clinical evidence exists, an MRI is required immediately for diagnosis. Any confirmed case must be sent for surgery within 36 hours of first presentation of the symptoms for surgical decompression. The spinal meninges are three membranes that surround the spinal cord – the dura mater, arachnoid mater, and pia mater. They contain cerebrospinal fluid, acting to support and protect the spinal cord. They are analogous with the cranial meninges. Distally, the meninges form a strand of fibrous tissue, the filum terminale, which attaches to the vertebral bodies of the coccyx. It acts as an anchor for the spinal cord and meninges. The spinal dura mater is the most external of the meninges. It extends from the foramen magnum to the filum terminale, separated from the walls of the vertebral canal by the epidural space. 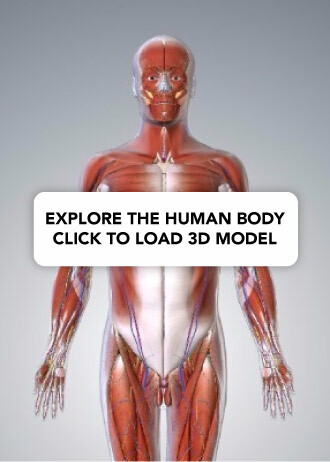 This space contains some loose connective tissue, and the internal vertebral venous plexus. As the spinal nerves exit the vertebral canal, they pierce the dura mater, temporarily passing in the epidural space. In doing so, the dura mater surrounds the nerve root, and fuses with the outer connective tissue covering of the nerve, the epineurium. 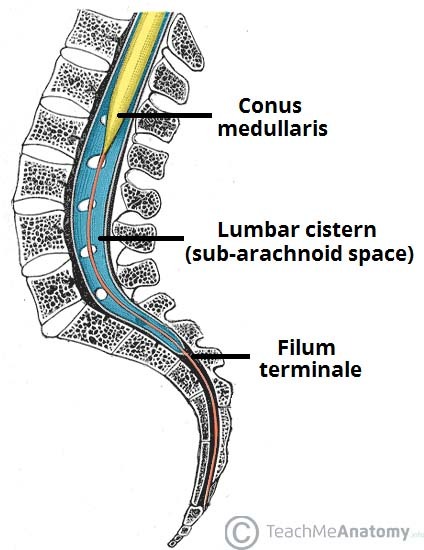 Fig 1.1 – The expanded sub-arachnoid space, forming the lumbar cistern. The spinal arachnoid mater is a delicate membrane, located between the dura mater and the pia mater. It is separated from the latter by the subarachnoid space, which contains cerebrospinal fluid. Distal to the conus medullaris, the subarachnoid space expands, forming the lumbar cistern. This space accessed during a lumbar puncture (to obtain CSF fluid) and spinal anaesthesia. The spinal pia mater is the innermost of the meninges. It is a thin membrane that covers the spinal cord, nerve roots and their blood vessels. Inferiorly, the spinal pia mater fuses with the filum terminale. Between the nerve roots, the pia mater thickens to form the denticulate ligaments. These ligaments attach to the arachnoid mater, suspending the spinal cord in the vertebral canal. The spinal nerves are mixed nerves that originate from the spinal cord, forming the peripheral nervous system. Each spinal nerve begins as an anterior (motor) and a posterior (sensory) nerve root. These roots arise from the spinal cord, and unite at the intervertebral foramina, forming a single spinal nerve. Posterior rami – supplies nerve fibres to the synovial joints of the vertebral column, deep muscles of the back, and the overlying skin. Anterior rami – supplies nerve fibres to much of the remaining area of the body, both motor and sensory. The nerve roots L2-S5 arise from the distal end of the spinal cord, forming a bundle of nerves known as the cauda equina. 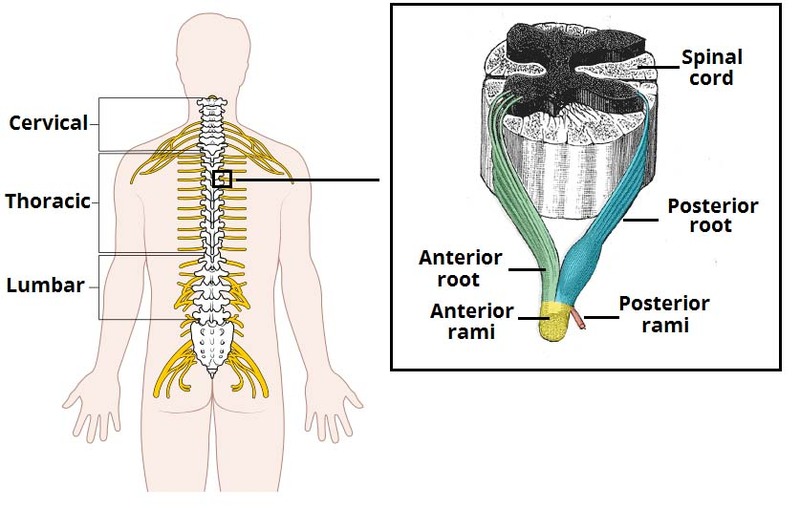 Fig 1.2 – The origin of the spinal nerves from the spinal cord. The arterial supply to the spinal cord is via three longitudinal arteries – the anterior spinal artery and the paired posterior spinal arteries. Anterior spinal artery – formed from branches of the vertebral arteries. They travel in the anterior median fissure. Posterior spinal arteries – originate from the vertebral artery or the posteroinferior cerebellar artery. They anastamose with one another in the pia mater. Additional arterial supply is via the anterior and posterior segmental medullary arteries – small vessels which enter via the nerve roots. The largest anterior segmental medullary artery is the artery of Adamkiewicz. It arises from the inferior intercostal or upper lumbar arteries, and supplies the inferior 2/3 of the spinal cord. Venous drainage is via three anterior and three posterior spinal veins. These veins are valveless, and form an anastamosing network along the surface of the spinal cord. They also receive venous blood from the radicular veins. The spinal veins drain into the internal and external vertebral plexuses, which in turn empty into the systemic segmental veins. The internal vertebral plexus also empties into the dural venous sinuses superiorly. Fig 1.3 – The external and internal vertebral venous plexuses. At which vertebral level does the spinal cord become the conus medullaris? Which of these is not a symptom of cauda equina syndrome? Which layer of the meninges is continuous with the epineurium?